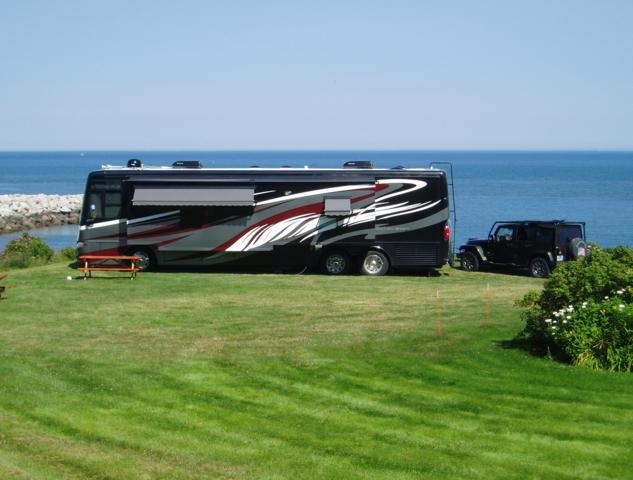 Site #32 is a Premium Waterfront full-service site located on a private terrace with an unobstructed view of the Bay of Fundy. 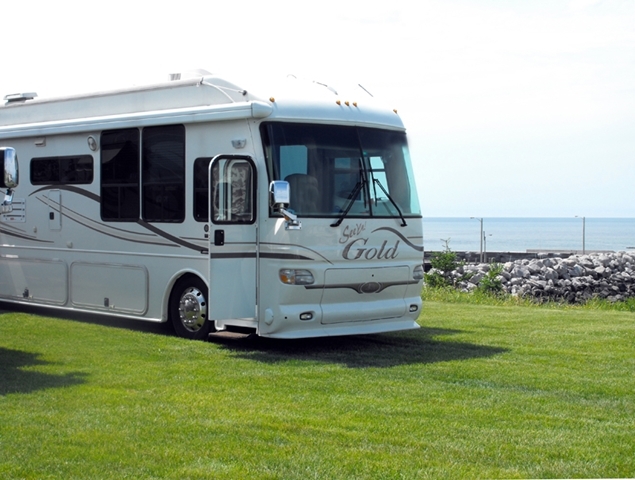 This site is a triple lot and provides a quiet, private location out of the traffic flow of the campground. 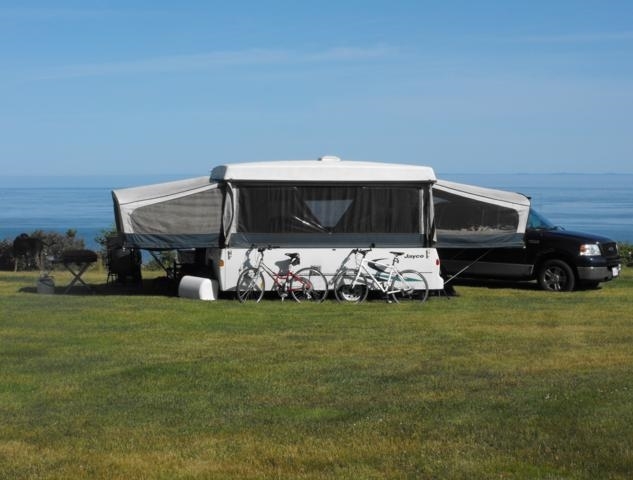 This spacious level site will accommodate one camping unit of any size - tent, tent-trailer, 5th wheel, RV or Big Rig, and camping units larger than 20 feet will be positioned lateral to the ocean. The site is equipped with certified drinking water, two individual 30 amp power supplies, sewer, picnic table and fire ring.